I’ll be the first to admit that there are days where I struggle to be extremely productive after being in class all day. I know how tempting an episode of Stranger Things sound or how lovely a nap might be. However, I also know how accomplished and stress-free I feel after getting a week’s worth of homework done before the weekend. Even though it may seem hard to be productive every day, I have created a few habits and routines that have helped me tremendously. Keep reading to find out what they are! 1. Create a comfortable environment to work in. Personally, I like to do my homework in my bedroom during the week. But, I can only get super focused when I have a clean space to do work. Allow yourself about 10 minutes to tidy up when you get home from class: make your bed, put your clothes away, and tidy up your desk. Cleaning up will help prevent you from getting distracted from the space around you. I also like to turn my oil diffuser on and turn on all of my decorative lights around the room to create a cozier atmosphere. Taking a few minutes to clean up will save you time in the long run. 2. Make a (detailed) list! An easy way to be productive is to write out a list of everything you need to do. I break my lists down into four sections, one for each class. Within each section, I’ll write down all of my assignments and a checklist for what I need to do for each assignment. An example of this is below. That way I won’t forget any little steps, and I feel great when I can check each item off, even if it’s only a small thing to do. Also, prioritize your list based on when each assignment is dues. This will help eliminate stress by completing tasks that have the closest due date. 3. Listen to instrumental background music. Music will help cancel out noise distractions, which will help you focus more! 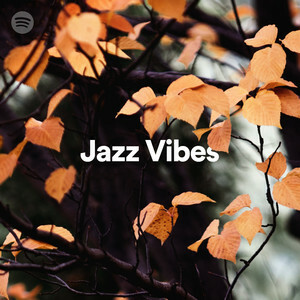 My two favorite playlists are Jazz Vibes and Background Piano on Spotify. My roommate Lauren loves listening to Disney movie scores! 4. It’s time to get to work! You have a clean space, a list of everything you need to do, and peaceful background music… you’re set for being productive now! It’s up to you to start your math homework or researching for a final essay. So put your phone away and grab a little snack because it’s time to get to work! I hope this quick post helps you create a productive routine for after class. Let me know if you have any questions or share your own tips in the comments below!